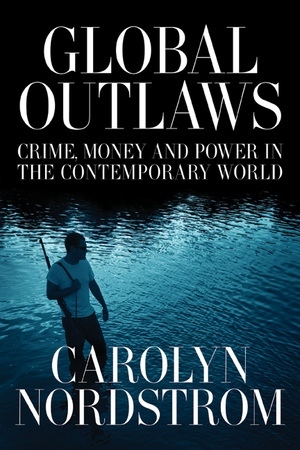 Carolyn Nordstrom explores the pathways of global crime in this stunning work of anthropology that has the power to change the way we think about the world. To write this book, she spent three years traveling to hot spots in Africa, Europe, Asia, and the United States investigating the dynamics of illegal trade around the world—from blood diamonds and arms to pharmaceuticals, exotica, and staples like food and oil. Global Outlaws peels away the layers of a vast economy that extends from a war orphan in Angola selling Marlboros on the street to powerful transnational networks reaching across continents and oceans. Nordstrom's extraordinary fieldwork includes interviews with scores of informants, including the smugglers, victims, power elite, and profiteers who populate these economic war zones. Her compelling investigation, showing that the sum total of extra-legal activities represents a significant part of the world's economy, provides a new framework for understanding twenty-first-century economics and economic power. Global Outlaws powerfully reveals the illusions and realities of security in all areas of transport and trade and illuminates many of the difficult ethical problems these extra-legal activities pose. Carolyn Nordstrom is Professor of Anthropology at Notre Dame and author of several books including Shadows of War: Violence, Power, and International Profiteering in the Twenty-First Century and Fieldwork Under Fire: Contemporary Studies of Violence and Culture, both from UC Press; and A Different Kind of War Story.